SENEYE REEF. The Seneye forecast engine analyses and interprets the data from the Seneye device and processes this into valuable information which can be understood. The resulting information serves as a basis for predictions, alerts and actionable advice, which can be accessed via a host of different internet-enabled devices, including your web browser, iphone, ipad and android smartphones. The Seneye web server (SWS) allows you to make any Seneye device work more efficiently and effectively. It allows you to use a Seneye without a PC and view the results direct from your smart phone, tablet, Windows computer or Mac. 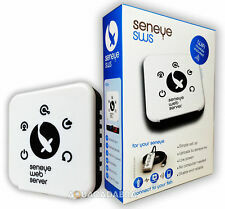 SENEYE POND WATER MONITOR EXTRA FLOAT AND USB EXTENSION CABLE NEW IN BOXES. Condition is New. Dispatched with Royal Mail Signed For® 2nd Class. An optional carrying case is available model # MA750. Lab Grade ORP Probe. The Apex Base Unit is the brains of your entire Apex System. The ABU is essentially a small computer whose only job is take care of your aquarium. It all starts with the onboard web server inside the Apex Base Unit. A LOT MORE THAN JUST A POWERSTRIP. The Energy Bars available for our Apex Systems are much more than a hyped-up power strip. 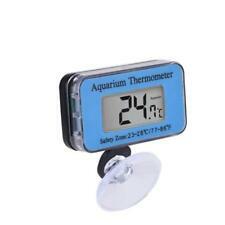 Looking for more Neptune Systems products?. Here’s how. First, it enables you to identify what the overall power consumption is on any Energy Bar so that you can better distribute the load across your multiple Energy Bars.